Back to the Future, Part II hit theaters on November 22, 1989. The movie's second half was a convoluted mess involving a future sports almanac, an alternate 1985 and a retread of the first film's 1955 setting. But the first half, set in the future Hill Valley of 2015, embedded itself in our consciousnesses forever with its non-stop barrage of futuristic technology and predictions of events. While some of those were pie-in-the-sky (the Cubs win the World Series? as if), others proved remarkably accurate — very likely more of them than you remember. So how close is the movie's version of 2015 to our real world? 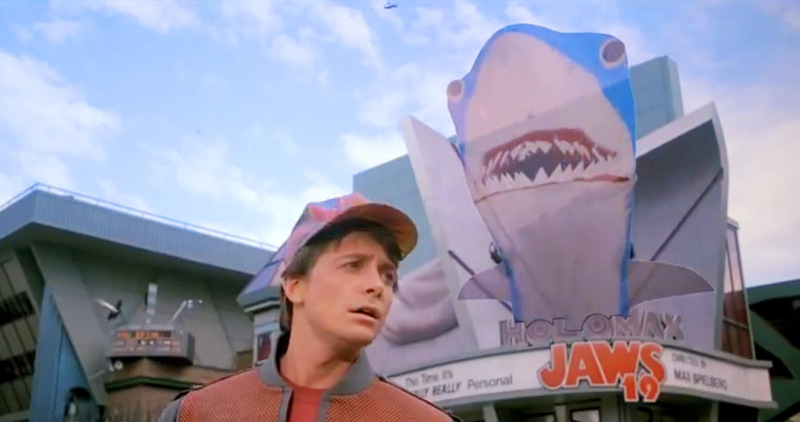 Here's a list of all the 2015 technology BttF2 predicted that's come true. No piece of technology from Back to the Future, Part II captured the public's imagination more than Marty McFly's hoverboard, which functioned like a skateboard, only it used magnetic hover technology. Many other things in the movie were able to hover using the same tech — such as news cameras, dog-walkers, the inversion therapy device old George McFly used for his back and those amazing flying cars — but it's the hoverboard that gets the most attention. 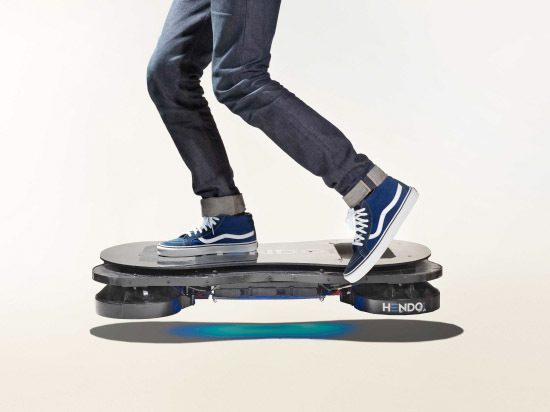 Last year, a company named Hendo made headlines by developing a real-life hoverboard that uses magnetic levitation technology. The tech isn't ready for the sidewalk, since it only works over metallic surfaces. And it's not exactly affordable. But the technology is real, and it exists. After Doc Brown lands the DeLorean in the future, he asks Marty to get out of the car. When Marty points out that it's pouring down rain, Doc looks at his watch and says "wait five more seconds." Right on cue, the rain stops and Doc marvels at 2015's ability to predict weather "down to the tick." Long before the term "smartwatch" was coined, Back to the Future II presented us with not only a smartwatch, but a hyper-accurate weather app. This experience can be recreated today using an Apple Watch and a $4 app called Dark Sky, which can predict weather with (decent) accuracy that's not "down to the tick," but down to the minute. Which is pretty darn close. Like the hoverboard, this is one fans have been waiting for, for years. 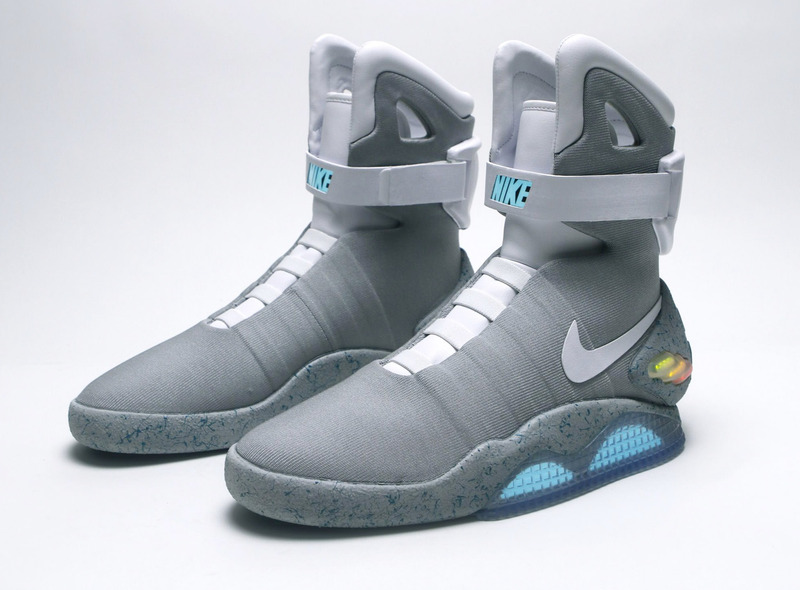 It's not quite here yet, though a few years ago Nike sold shoes for charity that looked exactly like the ones in the movie, which they called "Nike Air MAGs," only they didn't have power laces. Nike has promised power-lacing Air MAGs before the end of the year. So hang tight, the wait's almost over. When Marty walks out into the town square in 2015, among the many sights he sees is a gas station for flying cars that has robots instead of attendants. The flying cars are a separate issue, but automated gas pumps are real. A company called Husky is considering installing robotic gas pumps, aka drive-thru gas stations, in St. Louis. The pumps cost store owners $50,000 each. The video above is from a 2013 trade show where it was first shown off. Husky predicts that store owners will charge consumers more for the convenience. When Marty walks into the Café 80s, he encounters robot waiters. China is opening restaurants with robot waiters right and left. It's a gimmick — not to mention a way of eliminating needed jobs — but customers love it. Sadly, the Chinese robots aren't able to talk to you using the likeness of Michael Jackson or Ronald Reagan. But hey, give it time. The entire sequence when Jennifer wakes up in her future home and we meet old Marty, old Jennifer and their children is set in a remarkably accurate blueprint of what today's smart home can do. 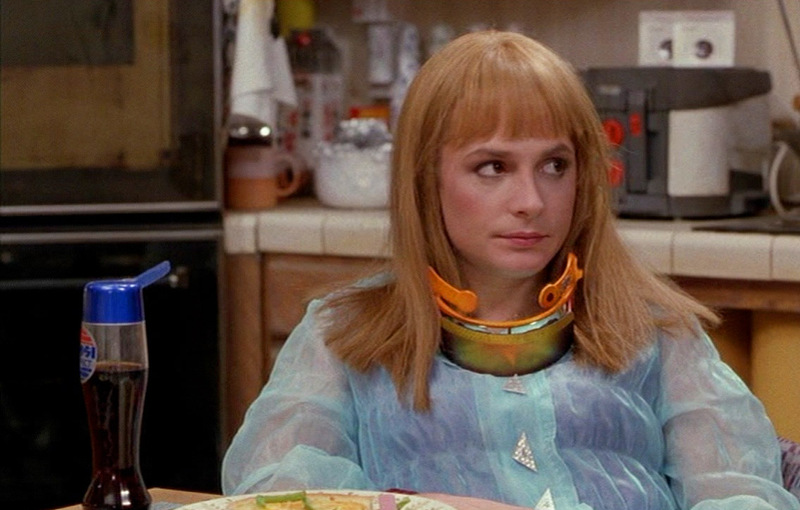 Numerous home technologies (most of which are covered below) interact with each other, such as the flatscreen TV that also takes video phone calls, or the goggles that Marty's kids use for various purposes. All of these devices talk to each other and work together in the movie, which is all the more impressive when you consider that there was no concept of an Internet at the time. Today, the Internet is the foundation used to network these devices together. • Fingerprint Door Locks: Multiple companies today offer door locks you can install that unlock doors not with a key but a fingerprint sensor. • Virtual Windows: The McFly home had a big digital screen on the wall that could display various outdoor scenes. These are available now. • Hanging Indoor Gardens: These come in a wide variety of form factors, though there are not yet any that can descend and retract from the ceiling on command. • Giant Flatscreen TVs: In the McFly home, Marty Jr. turns on a gigantic, wide, flatscreen TV. It's easy to watch this scene today and not see anything particularly futuristic, because we have huge flatscreens in abundance. The multi-channel viewing that Marty Jr. does (watching six channels at once) is not readily available today, but the technology is far from impossible. • Video Phone Calls On TV: Old Marty receives a phone call at home from his "friend" Needles, which he takes on the big screen TV in the living room. Today, Skype works on some smart TVs, as well as through Microsoft's Xbox. Sony is reportedly working on something similar for PlayStation. • Personal Credit Card Reader: Old Marty authorizes a credit card transaction as part of an illegal scheme concocted by Needles. To take part in the plan, Marty whips out his credit card and zips it through a nearby card reader. Smartphone owners can do this today with a credit card reader dongle, such as those made by Square, PayPal and Intuit. • Smartglasses: Doc Brown's chrome visor and the goggles worn at home by the McFly kids fit the definition of smartglasses. The kids watch TV and answer the phone with their goggles, while Doc has a rear-view camera display in his while driving the DeLorean. It's likely both devices have additional uses. Google Glass (postponed) and Microsoft's Hololens (not yet available) are the closest approximations we have today, but the technology arguably exists to do the kinds of things depicted in the movie. • Voice-activation: Young Jennifer turns on the interior lights (by accident) with a voice command. Marty Jr. calls for fruit from the hanging garden. Plenty of products offer voice activation in the here and now. There are many other speculative technologies shown in the film that haven't come to pass yet, such as the organ replacements Doc gets to extend his life, size-adjusting clothes, suspended animation dog kennels, holographic movie theaters, and the microwave-replacing "hydrator" that cooked an entire pizza in three seconds. Others could probably be done, but no one's attempted them yet. Griff's retractable baseball bat comes to mind. Scientists are working hard on bionic brain implants and other mechanical augmentations for the human body, but none of them are intended as voluntary replacements. Some people are having computer chips implanted in their brains to combat medical conditions like Parkinsons Disease, for example. Other ideas missed the mark entirely. A fax machine in every room of the house? Um, no. Dust-repellant paper? We'd settle for fingerprint-resistant tablet screens.